Back by popular demand, LicensingLive! is headed to Cupertino this year. Please join us on October 2nd and 3rd for the only event truly devoted to the challenges related to software licensing and entitlement management. 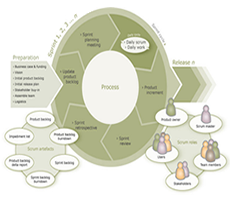 Getting started – and going from 0-60 in 60 minutes with the right software licensing strategy, the first time. Join us to take advantage of this dynamic and energetic environment – you’ll share experiences, and walk away with a wealth of new and relevant ideas from not only your peers, but also a group of the most influential people in the software industry. You’ll find your peers in attendance, as well as industry experts and thought leaders from IDC and SD Times – all of whom will be on hand to share best practices and lessons learned based on years of industry experience. Prakash Panjwani President & Chief Executive Officer, SafeNet, Inc.
You write software, you market software, you sell software. Simple right? Not necessarily. In his keynote address at LicensingLive!, technology analyst Alan Zeichick explores new ways to grow your software business in ways that not only benefit your bottom line - but also match better with what your customers are looking for in terms of flexibility, cost containment, long-term stability and simpler administration. You'll take away three concrete opportunities that can align your business model more closely with your customer's enterprise IT requirements, and can offer new possibilities for revenue growth in today's uncertain market conditions. If innovation is the door to success, monetizing innovation is the key. For some time, the software industry has been at the forefront of IT innovation, developing software solutions that are revolutionizing every segment of business and consumer life. However, software providers have spent far less time and effort in support of their monetization strategies than they have on research and development. In today's dynamic and competitive software industry, it is critical that providers of software solutions have a clear strategy for maximizing the value of their software intellectual property that takes into consideration every aspect of monetization from both a policy and technology perspective. This session will highlight the ways in which software monetization strategies are changing, and the elements that need to be included for an effective, scalable, and sustainable software monetization strategy. Software companies are all in business for one reason – to make money. 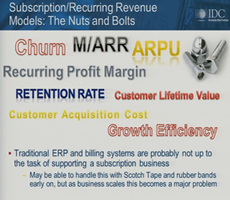 That process, the monetization of software, used to be a lot simpler. Thanks to the advancement of technology and the evolution of customer experience demands this process requires involvement across numerous functions and requires ongoing management. This session will identify the four key aspects of software monetization and demonstrate the value that can be derived, financially and operationally, from each when properly addressed. You will walk away from this session with a clear understanding of how to tackle improvement of your own software monetization strategy and will have a checklist of actions you can take for immediate ROI both short and long term. 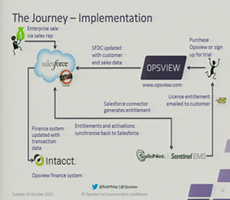 During this session Rob will describe the software monetization journey that has taken Opsview from a purely trust based license model with cumbersome product fulfilment processes through to a flexible, enforceable license model supported by efficient and integrated business processes. Under Rob’s leadership during this journey, Opsview has realised numerous benefits including flexible product packaging and pricing enabling new market segments to be addressed, compelling license driven events ensuring timely upgrades and renewals and therefore revenue and increased visibility of product usage. Rob will also discuss the benefits Opsview derived from focusing on end to end business processes and maintaining a single view of customers across the organisation. Benefits to be discussed include rich visibility into license entitlement and consumption details and fully automated end to end fulfilment for products purchased online. Contrary to popular belief, software pricing and packaging is not a onetime event and despite the hopes of product managers around the world, ‘one size’ is never going to ‘fit all’. You can have the most sophisticated, feature-rich offering on the market, but if you can’t offer flexible pricing and licensing models you will never reach your maximum potential. And just when you though the work was done you are going to need the ability to change all of your pricing and packaging schemes on the fly to satisfy the constantly evolving demands of enterprise and consumer end-users alike. For an organization like Varian Medical Systems, software is at the heart of everything they do and successful packaging means not only being able to easily bundle and control their software offerings, but also being able to control the functionality of the intelligent devices they ship through software licensing. 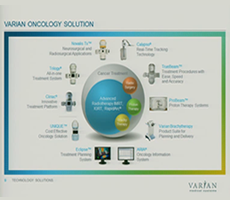 For Varian, licensing is about getting the perfect product package to every customer every time. In this session Thorsten Gerdes will discuss the challenges faced by Varian prior to introduction of a flexible hardware and software packaging strategy. He will then walk us through the trials and tribulations of perfecting the company’s packaging strategies, and then conclude the session by highlighting the specific ROI the company has seen as result of their innovative approach to software and intelligent device packaging. Software audit and licensing compliance assessment programs drive controversy, but important to an IP publisher to properly manage entitlement usage in the installed base. 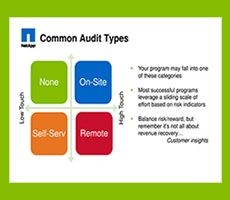 Audit programs tend to inherit the personality of the licensor and are met with varying levels of fear and loathing for both account teams and customers. Learn how to effectively create or improve your company’s compliance program; while establishing the right level relationship of the program to your customers, channel partners, and account teams. Determine the right level of investment against anticipated risk models verses audit models, and perform with the right program personality for your company. Chris Markle VP, Engineering Services, Aspera, Inc. The mounting number of benefits promised by cloud-based software, for both ISVs and their end-users, has many software executives contemplating the introduction of a SaaS offering to their product portfolio. Whether your cloud strategy focuses on supplementing, replacing, or complimenting your on-premise solutions one thing is certain – licensing and entitlement management does not get any easier in the cloud. In this session Chris will discuss why Aspera, Inc. -- a leading provider of high-speed file transfer solutions -- made the move to the cloud 2 years ago. Chris will outline what they hoped to achieve when moving to the cloud and how operational challenges around access control, packaging processes, and usage tracking slowed down their software monetization potential. He will then discuss how Aspera leveraged a cloud-based software licensing and entitlement management solution to help improve the organization’s ability to quickly define new service packages, offer flexible access and billing models, manage customer entitlements on an ongoing basis, and track all product and feature usage in order to gain more flexibility over how they monetized their offering. Chris will outline the steps that Aspera went through during this implementation and will discuss some of the lessons learned – the good, the bad, and the ugly. 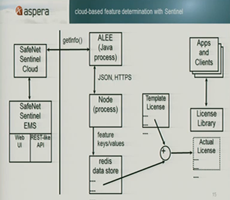 Join Prakash as he breaks down the drivers behind the always evolving Sentinel vision. This session will provide insight into where SafeNet is today, where we are headed for tomorrow and what we are aiming to achieve long term. This session will provide an in-depth look at the various product roadmaps heading into the next 12 months. During this interactive portion of the day, customers will be given a list of features currently in the Sentinel roadmap along with several ‘wild cards’. Customers will be broken into groups and asked to prioritize the features they would most like to see make into the product as soon as possible. The wild cards provide groups with the option to ‘write-in’ features that may not already be in the roadmap today. At the end of this timeslot the feature rankings will be collected and used in the closing session. The SafeNet management team will share the result of the feature prioritization game and comment on how feedback provided by the customers in that session will be applied to the roadmap moving forward. This session will also provide and opportunity for customers to directly voice more information on why they ranked certain features higher than others while also giving the management team the ability to ask the audience to elaborate on feature write-ins and other comments. This time has been set aside to provide customers with direct access to our product management, sales, marketing, and executive management teams to discuss anything from implementation best practices, desired product enhancements, troubleshooting tips, etc. Beverages and light snacks will be provided during this time. VP, Engineering Services, Aspera, Inc.
President & Chief Executive Officer, SafeNet, Inc.
Chris Markle from Aspera presents at LicensingLive on the value of services-based software offerings. 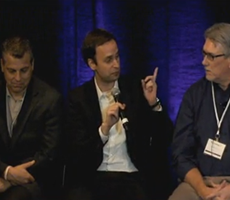 NetApp’s Licensing Czar David Welch leads an interactive discussion on the topic of software audits and compliance for software monetization success with the attendees at LicensingLive in Cupertino, CA. Thorsten Gerdes from Varian Medical Systems presents how his organization uses software licensing and specifically effective packaging in their software solution to not just deliver value, but also to save lives around the world. 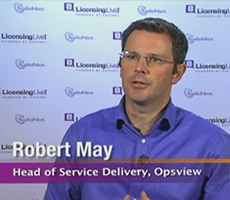 Rob May from OpsView shares his knowledge at LicensingLive! 2012 on the subject of software licensing with a focus on experience and efficiency. 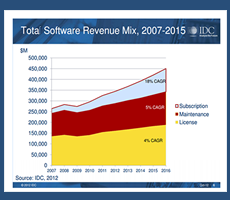 Hear from IDC’s Amy Konary about the new look of software monetization. Amy presents how the software market has changed from being product-rich but experience-poor, and how to create an effective software monetization approach. Since joining the company in 2002, Prakash has been instrumental in driving major product strategy, infrastructure, and operational shifts throughout the organization. Prakash led the strategic acquisition of 12 companies resulting in SafeNet being the cybersecurity powerhouse that it is today — Rainbow Technologies marked SafeNet’s entry into the HSM, authentication, and software protection markets, Ingrian Networks, broadened SafeNet’s data encryption and encryption key management portfolio, Aladdin Knowledge Systems, doubled the size of SafeNet’s software monetization business, and most recently, Cryptocard which brought the company’s award-winning authentication business into the cloud. Most recently, Prakash served as the SVP and General Manager of SafeNet’s Data Protection business unit where he has been able to refocus the team on three rapidly growing markes – crypto management, data encryption, and authentication and then successfully executing against a highly aggressive product development and go-to-market plan to support it. Jake Fox is Vice President of Product Development for SafeNet’s Software Monetization Division. In this role, Jake is responsible for overall product strategy and management of the Sentinel product line. Prior to this role, Jake was responsible for the product development and market launch of the Sentinel Cloud Services. Prior to joining MediaSentry, Jake worked for EarthLink, Inc. (NASDAQ: ELNK), a leading Internet Service provider where he spent nearly 8 years in various leadership roles. Jake graduated with honors from UCLA where he received a degree in Economics. Michelle Nerlinger currently serves as Director of Marketing for the company’s Software Monetization business unit. In this role, Michelle is responsible for leading the team of marketers responsible for defining and communicating product vision, growth strategy, and go to market plans for the company’s award-winning portfolio of Sentinel software licensing, and entitlement management solutions. Michelle joined SafeNet in December 2004 as a member of the corporate communications team responsible for tactical public and analyst relations worldwide. In January 2007 she joined the company’s Networking & Embedded Business Unit to lead global product marketing efforts for all OEM & DRM product lines. Michelle graduated with honors from Towson University where she received a dual degree in Marketing and Mass Communications. Darim has a Bachelors degree in Aeronautical Engineering from Kingston University in London. Alan Zeichick is a technology analyst, writer, and a recognized authority in many diverse areas spanning software development, agile methodologies, enterprise IT, mobile technologies and cloud computing. Mr. Zeichick is Co-Founder and Editorial Director of BZ Media’s SD Times, the leading magazine for software developers. Mr. Zeichick serves as conference chair for AnDevCon: The Android Development Conference, and WPDevCon: The Windows Phone Development Conference. He has spoken at Comdex, Networld+Interop, PC Expo, JavaOne, Microsoft TechEd and many other events. Rob May is responsible for the product engineering function at Opsview and for the performance of all services to customers including managing Opsview’s Service Delivery team globally. He has more than 15 years’ experience in IT consulting and project management. Prior to joining Opsview, Rob was Head of IT at Detica, a technology consultancy specialising in information intelligence with 1600 staff and revenues of +£200m. Prior to Detica, Rob was a Senior Project Manager at Rubus responsible for the successful delivery of complex, high value Internet-enabled solutions to corporate customers. Rob holds a degree in Electrical Engineering from the University of Southampton, is a qualified PRINCE2 Practitioner and Certified ScrumMaster. Thorsten Gerdes is a Business Project Leader with Varian Medical Systems focusing on Supply Chain and Finance projects. His main focus is the steady improvement of actual processes with the goal to deliver added value to the company. Thorsten has been with Varian Medical System since October 2007. 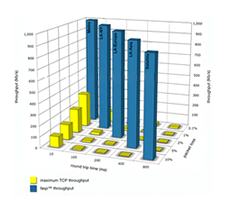 While at Varian Thorsten has successfully managed multiple global projects for Varian. Thorsten holds a degree in Business Information Systems from the University of Northwestern Switzerland. David Welch is the Licensing Czar for NetApp, and is responsible for all aspects software licensing, packaging, and product structure for all products. David has prior experience managing software licensing strategy and policy globally for HP, software company integration at Cisco, plus developing and selling a successful software start-up in the automotive aftermarket. NetApp is market leader in innovative storage systems and software with $6.2B in annual revenue and 12,000 global employees. NetApp’s unified architecture and clustered storage solutions enable intelligent, immortal, and infinite data storage and management. Chris Markle is the Vice President, Engineering Services for Aspera, Inc., a leading provider of high-speed file transfer software and solutions. He joined Aspera in 2007. Chris is responsible for the company’s business systems when they intersect with the products, including software licensing, and cloud usage metering and billing. He is also responsible for the iOS (iPhone, iPad) product line. Prior to joining Aspera, Chris spent six years at Sendmail, Inc. where he was Vice President of Engineering. Previously, Chris worked for Sterling Software, Interlink Computer Sciences, Advanced Computer Communications and Network Solution, among other companies. Chris has a Bachelor of Science degree from Virginia Tech in Computer Science.